French translations are more popular and selling better than ever in English-language markets, not just in the US but in India and elsewhere. 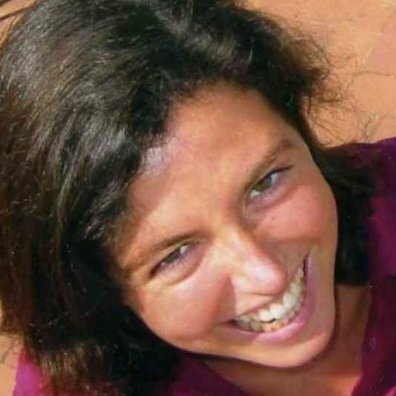 Laurence Marie is the head of the book department for the French Embassy in the United States. The beginning of the year is usually a good time for clear-headed assessments. Last December, an article published in BBC News Magazine entitled “Why don’t French books sell abroad?” strongly encouraged me to put an end to my procrastination and engage in this healthy exercise. There is no such thing as bad publicity, I thought with amusement. Contemporary French fiction is being talked about rather than ignored; what better proof of its vitality? Indeed. But what truth is there behind this good old saying? To give a larger and more accurate picture of the present situation, I gathered recent and relatively unknown facts and figures about the American and, to a certain extent, British and Indian translated fiction markets. The numbers seem to qualify, and even knock down, the clichés suggested in the BBC’s article. It’s a simple fact that the BBC was asking the wrong question. Some 1% of novels published in the US are translations, whereas in France, they count for about 33% (American novelists, loved by French readers, hold the first rank). French is the most translated language in the US, before German and Spanish (and the second in the world, after English). The New York Times’ “100 Notable books of 2012” features only four works in translation, but two of them are French: Marie NDiaye’s Three Strong Women (which made the cover of the NY Times in the summer of 2012) and Laurent Binet’s first novel HHhH. It is not that French books don’t export (in fact, they do quite well in other countries), but that the demand for translations in the UK and the US is not at its best. 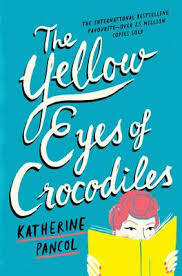 For instance, Katherine Pancol’s international best-seller The Yellow Eyes of Crocodiles was translated into 29 languages before being published in the US by Penguin in November. As the late André Schiffrin brilliantly stressed in his books, concentration in the publishing world has led to an obsession with each book becoming a bestseller. However, Schiffrin has also proved that a publishing house can be profitable without selling only bestsellers: the recent polemics [see Melville House or Harper’s] surrounding the obituary devoted to him in the New York Times indicate just how much this question is still front and center. French literature does sell abroad, and it sells better than ever. It is no small paradox that the BBC article was published just a couple of days after Penguin made public its biggest purchase [from France] ever. The news was all over the American press: Joël Dicker’s The Truth about the Harry Quebert Affair, originally written in French, was bought for about half a million dollars from the French publisher Bernard de Fallois. This is not an isolated event. The number of books translated from French to English has increased by about 30% in the last few years . According to a list compiled by the Book Department of the French Embassy in New York, many more translations from French are published than the available statistics usually suggest: between 300 and 350 translations from French are being published in the US every year, among which at least 62 were contemporary French novels in 2012, and 77 in 2013. This is very few, the pessimists would say. But put this into perspective with the number of novels published in France every year, or compare it for instance to the only 8 translations of Chinese novels released in US in 2013 . 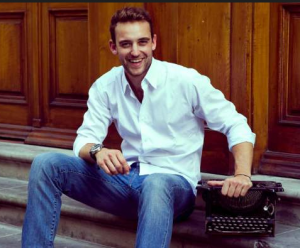 Switzerland’s Joel Dicker writes in French and topped bestseller lists across Europe in 2013. Generally speaking, there is good reason for hope, as several prestigious masters programs in literary translation have been created in the past few years (at NYU for French to English only, and at Queens College, among others) and David Bellos’ book on translation (Is that a Fish in Your Ear?) was selected as one of the Notable books of 2011 by the New York Times. Another interesting and lesser-known fact is that the number of acquisitions of French books on the Indian Anglophone market has been constantly rising over the last few years. Anne-Solange Noble, director of rights for Gallimard, explained to a journalist that until 2009, Gallimard would sign 1 or 2 contracts a year with India, whereas in 2012, it sold the rights to 12. In the past, UK publishers would get the world-rights and sell books in India; but the opposite has now become possible. It is no surprise that Le Seuil’s rights director Jennie Dorny went to India several times in the past two years: Le Seuil sold to Yoda Press (a Delhi-based publisher) the rights not only to publish Alexandre Bergamini’s Sang damné in India, but also the exclusivity to find a publisher in the UK in the next two years. Seagull Books is also a model in that respect: since 1982, its founder Naveen Kishore has built an impressive catalogue of French books in English translation, including Pascal Quignard, Philippe Jaccottet, Yves Bonnefoy, Hédi Kaddour, Noëlle Revaz, and Lola Lafon. Since 2007, Seagull has partnered with Chicago University Press, and most of its titles are well distributed in the US. They have recently brought to the US such highly literary titles as Maryse Condé’s The Journey of a Caribbean writer, Hedi Kaddour’s Little Greys Lies, Pascal Quignard’s The Silent Crossing or Florence Noiville’s Literary Miniatures. And these titles sell! Of course, translations, and French contemporary novels, are rarely huge best-sellers. First of all, most Anglophone publishers are not really interested in France’s mass market fiction: they already have the equivalent in their own countries. What they are looking for is exciting new voices in literary fiction. And sales figures of translations in that category have no reason to envy their American or British counterparts. To start with, several titles published over the last few decades, which would not be called “contemporary,” have become big hits. Irène Némirovsky’s Suite française (written before 1942, trans. 2007, Vintage – Knopf) sold nearly two million copies (and Fire in the Blood sold more than 130,000). Night by Elie Wiesel (1955, trans. 1960, Farrar Strauss and Giroux) still sells 500,000 copies a year. Among the contemporary French novels translated in the US, one was a blockbuster: Muriel Barbery’s The Elegance of the Hedgehog (Europa, 2008), with more than 900,000 copies sold. These examples may be exceptional, but they should not be ignored. And the fact is that many other translated novels have reached considerable sales figures (the list below being far from exhaustive). 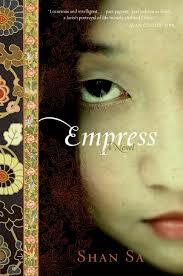 Notwithstanding ebook sales, Shan Sa’s Empress: A Novel (Harper Collins) exceeded 90,000 copies. Michel Houellebecq sold about 60,000 copies of The Elementary Particles (Knopf). Sébastien Japrisot’s A Very Long Engagement (FSG) and Muriel Barbery’s Gourmet Rhapsody (Europa) each surpassed 50,000 copies. Martin Page’s How I became Stupid (Penguin), Faiza Guene’s Kiffe kiffe tomorrow (Harcourt), Houellebecq’s Platform (Knopf), Anna Gavalda’s I Wish Someone Were Waiting for Me Somewhere (Penguin), Laurence Cossé’s A Novel Bookstore (Europa), Anna Gavalda’s Hunting and Gathering (Penguin), Laurent Binet’s HHhH (FSG), between 20,000 and 40,000. Cécile David-Weill’s The Suitors (Other Press) and Jean-Claude Izzo’s Total Chaos (Europa) 13,000 to 16,000. Eric-Emmanuel Schmitt’s Monsieur Ibrahim and the Flowers of Coran, Hervé le Tellier’s Enough about Love and Atiq Rahimi’s Patience Stone (Other Press) surpassed 7,000 copies. Caryl Férey’s Zulu (Europa) and Didier Van Cauwelaert’s Out of My Head (The Other Press), Carole Martinez’s The Threads of the Heart (Europa), Anna Gavalda’s French Leave, Amélie Nothomb’s Tokyo Fiancée(Europa), Mathias Enard’s Zone (Open Letter), sold between 3,000 and 5,000 copies. French contemporary writers’ reputations exceed sales figures. Michel Houellebecq, often identified as THE French contemporary writer, has influenced a whole generation of writers, such as the founders of N+1, Sam Lipsyte, and Lorin Stein. Bret Easton Ellis and Martin Amis have publicly professed their admiration for Laurent Binet’s original historical novel HHhH. French writers are frequently invited not only by American universities, but also by popular festivals: in 2013 for instance, Jean-Marie Blas de Roblès presented Where Tigers are at Home (The Other Press, 2013) at the Brooklyn Book Festival; Pierre Michon was invited to PEN World Voices (but had to postpone his visit), Jean-Christophe Valtat was a guest of honor at San Francisco’s Litquake festival for Luminous Chaos, written directly in English (Melville House, 2013), Julia Kristeva (also an author of works of fiction: The Old Man and the Wolves, Murder in Byzantium, and Possessions) was a keynote speaker at the opening of the Chicago Humanities festival; Ananda Devi (Indian Tango, Host Publications, 2011) was invited by the University of Oklahoma and World Literature Today to participate in the Neustadt International Prize for Literature. Several French and francophone authors have an unreserved fan base and have had several books translated into English: Alain Mabanckou (Indiana University Press, Soft Skull) or Dany Laferrière (who has just entered the Académie française and is published by Arsenal Pulp Press, Douglas & McIntyre), Goncourt winner Marie NDiaye (Vintage, Two Lines), Nobel Prize recipient Jean-Marie Le Clézio (David R. Godine), Mathias Enard (Open Letter), Annie Ernaux (Seven Stories), Jean-Philippe Toussaint, Jean and Olivier Rolin (Dalkey), Antoine Volodine, Yasmina Khadra (University of Nebraska Press), Emmanuel Carrère (Picador), Pierre Michon (Archipelago, Yale University Press), Philippe Claudel (Doubleday), Andreï Makine (Arcade), Marie Darieussecq, and Jean Echenoz (who has been invited for April 2014 by the prestigious 92nd Street Y for a conversation with Lydia Davis on his book 1914, published by The New Press). Oulipians are also amazingly popular among the young American generation, far more than in France. Last February, over a hundred young people in Brooklyn gathered for the release of a new translation of Queneau’s Exercises in Style (New Directions) and Perec’s La Boutique obscure: 124 Dreams (Melville House). Last November, Citylights Bookstore in San Francisco invited Paul Fournel et Hervé Le Tellier for a debate with the young American Oulipian and Perec-translator Daniel Levin Becker. Last but not least, Words Without Borders devoted a whole issue to Oulipians last month. Broadly, and the fascination for the Oulipo’s stylistic experimentations is evidence of this, French writers seeking new experiments in style and in form have always interested independent American publishers, precisely because they have no real equivalent on the American literary market: novelist Laird Hunt thus translated Arno Bertina’s experimental biography (Brando, My Solitude, Counterpath, 2012); Rick Moody wrote the preface to Gwenaëlle Aubry’s No One (Tin House, 2012). Others French authors, some of whom write directly in English, have also been paid tribute, such as Christophe Claro (Cosmoz, Marick Press, 2013; Bunker Anatomy, 2010;Madman Bovary, 2009), Oliver Rohé (Vacant Lot, Counterpath, 2010 and Origin Unknow, translated from French [Dalkey, 2013]) or Maylis de Kerangal’s Corniche Kennedy (Talon Books, 2014). It is these experimental texts that are being studied in creative writing departments. Most of all, the BBC article misses a major recent phenomenon, probably because, surprisingly enough, the journalist did not interview any publishers. There is a change indeed, but it is the opposite of the BBC’s conclusion! In the last few months, many particularly promising French titles have been bought in the UK, and subsequently in the US. Several concurring studies indicate that after crime fiction from Scandinavia set a new trend, French noir began to bloom internationally. Two books by Didier Daeninckx were published by Melville House at the end of 2012, and British publisher Christopher Maclehose launched its New York office last June with Pierre Lemaître’s thriller Alex. He bought the rights to the so-called “Swiss Millennium’: Joël Dicker’s The Truth about the Harry Québert Affair, to be published the UK and the US this May. He also acquired two books by Dominique Sylvain, who, in the last 15 years, had not managed to reach the English-speaking market: The Dark Angel was published last week in the UK. France also holds a major place in Europa Editions’ ‘World Noir Series’ with Jean-Claude Izzo (four books published in May 2013), Caryl Ferey (Mapuche) and Philippe Georget (Summertime All the Cats are Bored), both published last July. The digital publisher Le French Book has recently focused on crime fiction and published books by Sylvie Granotier, Frédérique Molay, Jean-Pierre Alaux and Noël Balen. This phenomenon exceeds the usual suspects of literature in translation: some publishers who scarcely ever release books in translation have recently bought French noirs, such as Hodder UK, who published Bernard Minier’s Glace last August. On the classics’ side, in the beginning of 2014, Penguin will launch a new translation of the entirety of Georges Simenon’s monumental work, an enterprise which represents a colossal investment of several hundred thousand pounds. A new generation of exciting storytellers is emerging in France, some of whom are directly inspired by the narrative technique of detective novels. This trend has strongly attracted the attention of English-speaking publishers and counters the cliché that French writers are inaccessible, ‘navel gazing,’ and unable to construct a compelling plot. This is certainly the case of the thriller-writer Pierre Lemaître, whose extraordinary historical novel Au-revoir là-haut received the Prix Goncourt last month, the highest distinction in France’s literary establishment. The book was bought in the UK before it was published in France, as MacLehose was already following the author. But hitherto unknown author Romain Puértolas’s first novel, L’Extraordinaire voyage du fakir qui était resté coincé dans une armoire Ikéa, was purchased in England based on the French galleys of Le Dilettante Editions. Among other promising page-turners bought by Anglophone publishers, one should remember Hélène Grémillon’s The Confidant (Penguin, Oct. 2012); Antoine Laurain’s The President’s Hat, for which Gallic Books organized a big US tour in November; Grégoire Delacourt’s My Wish List (Orion UK, July 2013 and Penguin USA, March 2014), and Jean-Michel Guenassia’s Le Club des incorrigibles optimistes, to be published by Atlantic (UK) in August 2014. Even though France is famous for its modesty, putting together these encouraging facts and figures is not exactly an occasion for ringing La Marseillaise, but rather for sharing the invigorating news not only with translation aficionados, but with all lovers of literature. Laurence Marie is the Cultural attachée – Head of the Book Department at the French Embassy in New York City. She can be reached via Twitter @FrenchBooksUSA and will publish a supplementary article on French non-fiction in the US this January, based on a recent inquiry conducted by Gisèle Sapiro. Special thanks to my colleagues Hélène Fiamma and Judith Oriol from the French Book Departments in London and Delhi, and to the publishers who provided us with invaluable information. — Between 2009 and 2012, 28.1% more French books were bought to be published in the Anglophone world (+37.3% in the UK and +27.8% in the US). Source: Bureau international des éditeurs français, “Statistiques internationales 2011-2012”. See also, in French, the excellent Gisèle Sapiro (dir. ), Traduire la littérature et les sciences humaines. Conditions et obstacles, Paris, La Documentation française, 2012.